Norvin is an investment firm dedicated to providing real estate solutions to the healthcare industry. We work with health systems, medical schools and physician groups. 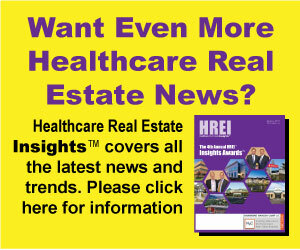 Transactions include acquisitions, joint ventures and monetizations of acute and post-acute hospitals, out-patient facilities, MOBs and administrative buildings. Established in 1998, Norvin serves as an investment manager for high net worth families and trusts. Please visit www.norvin.com or call Norm Livingston at 212-755-7552.